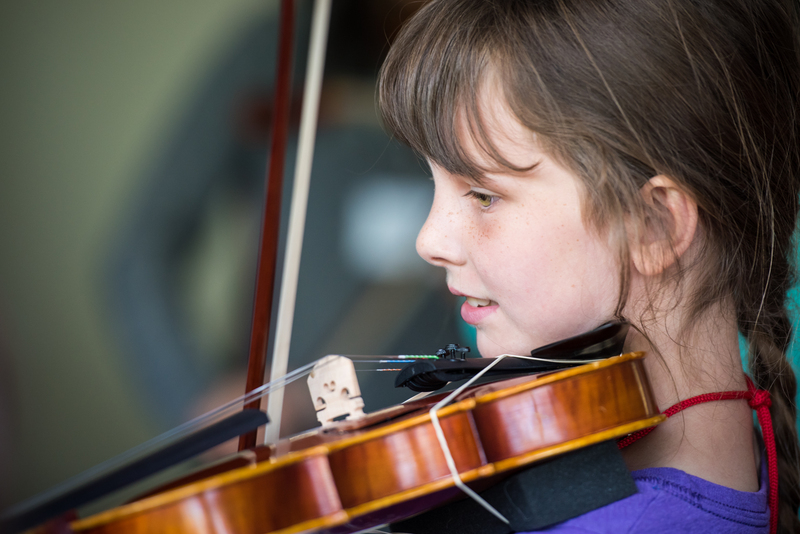 GWSI offers students studying violin, cello, viola and bass an opportunity to supplement their musical education by enjoying a week of individual and group instruction in the company of students and families who value and actively pursue musical, personal and talent development. GWSI students range in age from 4 to 18 years, and in experience level from Pre-Twinklers and Twinklers who are just starting their Suzuki studies to advanced students who have mastered all ten Suzuki books. 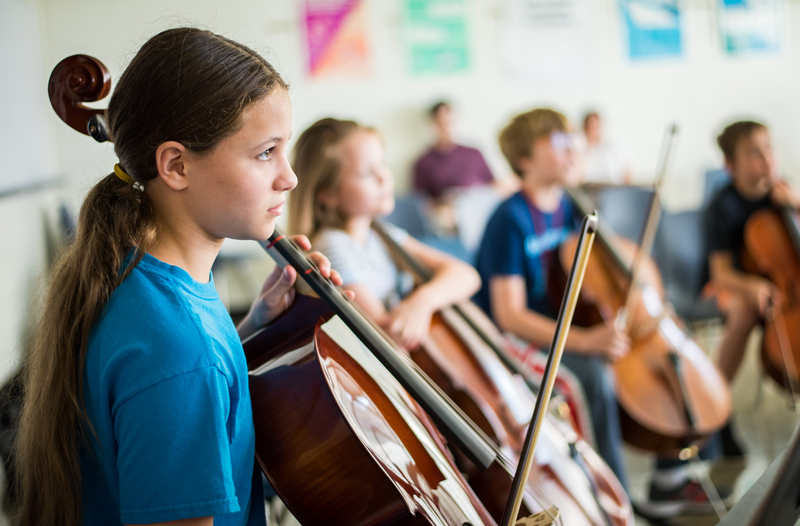 They include violinists, cellists and violists who are studying using the Suzuki approach, as well as bass players who have been training by any method. Parents play an active role in the GWSI student program and all children under the age of 13 must be accompanied by an adult. 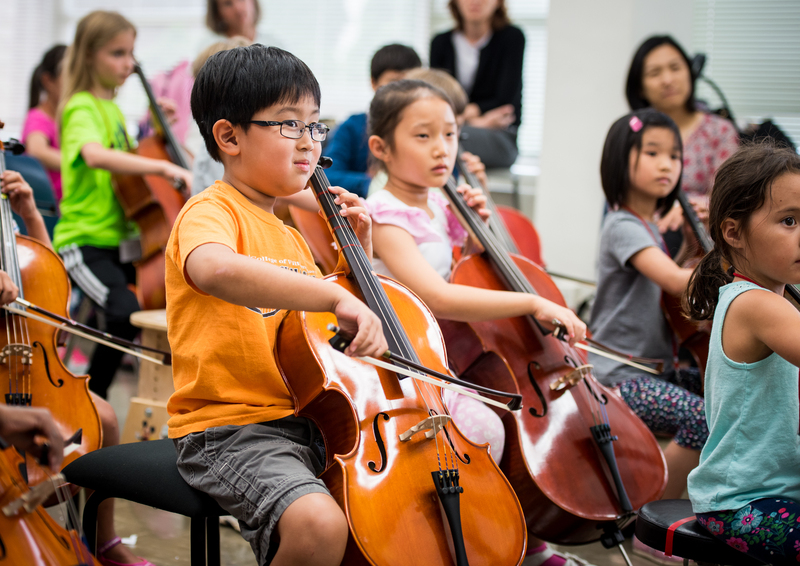 The Violin and Cello Programs offer an individual lesson in master class style and a group or Repertory Class daily. Master Class Lessons for advanced students are small (including 3 rather than 4 students). 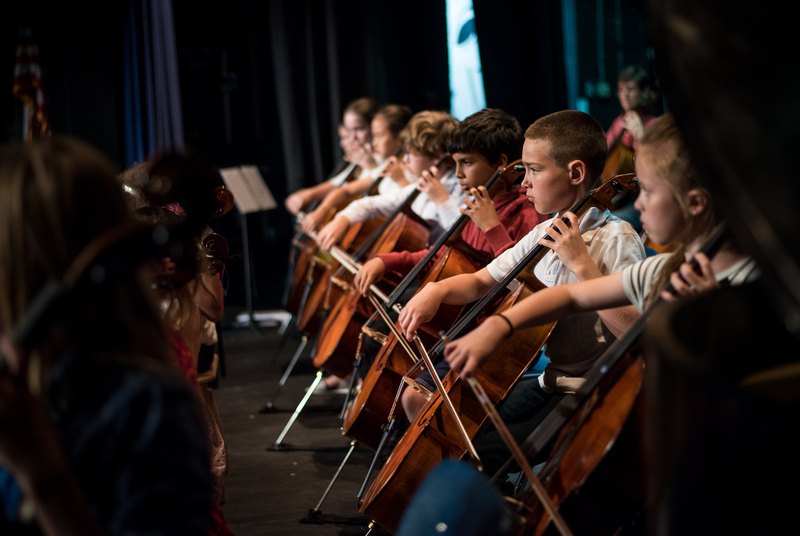 In addition, students are eligible to participate in Orchestra or Play-ins and to take advantage of the Music Theory Games, Quartet/Chamber Music and Scottish Fiddling electives based on advancement level. Teens are eligible to attend the Teen Seminar. The Viola and Bass Programs start at Book 2 and offer a daily individual lesson in master class style and participation in orchestra. Violists, in particular, are encouraged to enroll in the Quartet/Chamber Music elective. Violists and Bass players wishing to participate only in orchestra will be charged a registration fee only. The Vivace Chamber Music Program is open to advanced cellists and violists who are studying at Virginia Band & Orchestra Directors Association (VBODA) Level 5 or Suzuki Book Level 6 and up. The full program includes a daily individual lesson in master class style, participation in Advanced Orchestra, Quartet/Chamber Music classes and the Teen Seminar. The partial program includes participation in Advanced Orchestra and Quartet/Chamber Music classes only. Student/faculty recitals are held each weekday afternoon, as well as Thursday evening. A Friday evening Final Concert is also planned. Student soloists for the Tuesday-Friday afternoon recitals are nominated by master class teachers. Students can sign up to perform Thursday evening. Students participating in orchestra classes are scheduled to perform in either the Friday afternoon recital or Friday evening concert. All students participating in repertory classes, including Twinklers, are expected to perform in the Friday evening concert. Students are encouraged to attend these stimulating events, even when they are not scheduled to perform. Recitals and the final conference are optional for very young students, if they are not up to a full day of classes. Practice rooms are available on a sign-up basis for students who wish to take advantage of them during their free periods. Sign-up sheets are posted on practice room doors. Download a Thursday Evening Informal Recital Request Form here. Violin, cello, viola and bass students (other than Pre-Twinklers) should come prepared to play a polished piece for their first master class lesson. The GWSI teachers can readily assess a student’s needs by hearing a technically and musically mature performance of a piece. Students should also be prepared to play the pieces selected for their group repertory classes. Music for repertory classes will be announced by May 15.